Since Intel announced their new Atom CPU, it’s been only a matter of time before someone actually released a tiny PC powered by the chip. We’ve already seen a concept gadget from Asus, however, Sharp is the first company to announce the release of one to the public. This tiny computer/phone has been dubbed the D4 and features a 1.33GHz Atom CPU, 40GB hard drive, 1GH memory and will run Windows Vista. 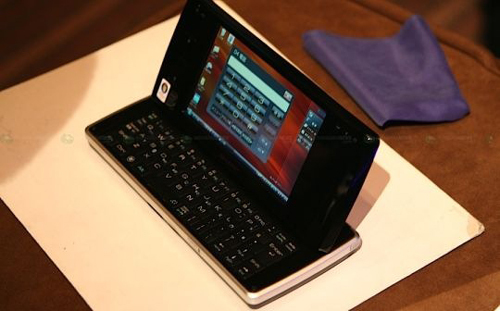 You’ll also get a 5-inch 1024×600 screen, WiFi, Bluetooth and more. There are a few setbacks, one of which is that it is currently only slated for release in Japan. Also, you’ll need to shell out some big bucks for this one, it will be sold for around $1275 with a 2-year service contract.